Just a quick reminder that we have a late start tomorrow. Students will start school at 9:35. 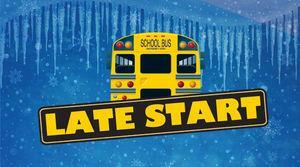 Please do not send your child to school before 9:00 a.m.